Early childhood is a crucial time for powerful experiences that forever fuel the imagination of the scientist, artist, author, philosopher or builder; experiences children carry into their future as a core of inspiration, confidence and creativity. The Arlington Primary Campus comprises heritage listed buildings, designed by Kevin Borland, clustered around the original homestead of Margaret Lyttle, set in rambling gardens and the site of Australia’s oldest progressive educational ideas. Preshil is a candidate school* for the International Baccalaureate Primary Years Programme. The secondary school, Blackhall Kalimna, is in Sackville Street Kew. Young people are challenged to question, to act and grow into thoughtful and articulate adults. We adopt a progressive approach to the International Baccalaureate, with authorisation to teach both the Middle Years and Diploma Programmes. Preshil is a coeducational, secular and private school in Melbourne. 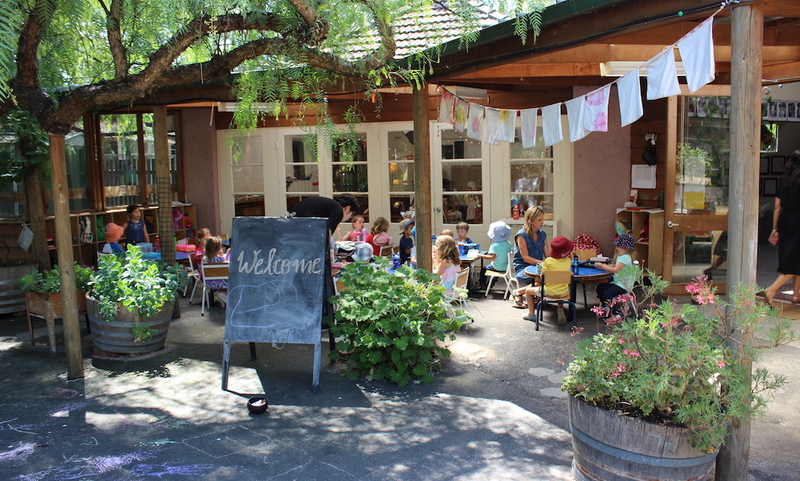 It is the oldest progressive school in Australia, focusing on the education of each individual child and the social relationships which support their development as critical and creative thinkers. It remains a deliberately small school, welcoming children from three years of age into the Kindergarten through to the completion of their secondary schooling at Year 12. Preshil’s adoption of an accredited International Baccalaureate Middle Years and Diploma Programmes (IBMYP and IBDP), and candidacy* for the Primary Years Programme (IBPYP) perfectly align with the school’s focus on intellectual challenge, inquiry, and research-based learning. These IB programmes accommodate individual choice and independent learning, and encourage students to develop the “courage to question”; to find their own voice and to become responsible and active global citizens well beyond the classroom. From the earliest years, children are encouraged to develop higher order thinking through philosophy, play, building, problem-solving and exercising choice. Kindness, respect and courage are key learnings, underpinning a creative, rich programme which nurtures and delights young minds. The Kindergarten environment provides a natural world of adventure where the invitation to play, climb and create is irresistible. As a candidate school for the IBPYP, Preshil is able to extend its commitment to inquiry-based, interdisciplinary learning into the Primary School. Specialist French, Music, Physical Development and Art are equal partners in a stimulating and challenging curriculum that combines meticulous teacher planning with individual and collaborative projects. The Preshil Secondary School (Blackhall Kalimna) offers the IBMYP, an intellectually vibrant curriculum which is the perfect preparation for all our students to progress to an IBDP in their final two years of school. Preshil continues to support an outstanding programme of Arts, Drama, Film and Music, with multi-age electives focusing on extending students’ interests, building career knowledge, and innovative STEAM choices. The Preshil approach to schooling does not use the fear of failure or the threat of punishment to motivate children. We do not demand conformity or unthinking obedience to arbitrary rules. The rapport between students and their teachers is relaxed, respectful and focused on achieving outstanding learning outcomes, trust and a genuine regard for each individual. Preshil offers a truly contemporary, globally-minded alternative to conventional schooling.